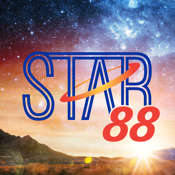 Star 88: we have an audience of One and a listening family of many! 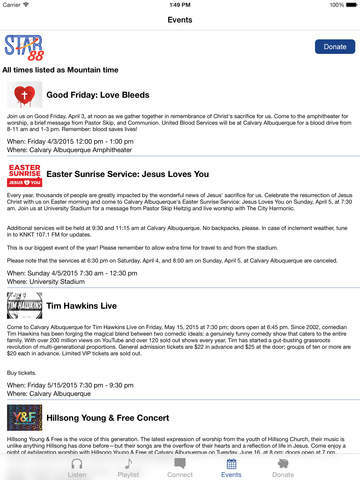 Listen to a live stream of great music on your mobile device from artists like Hillsong United, Mumford & Sons, Twenty One Pilots, Chris Tomlin, House of Heroes, and the hottest independent bands you need to hear. Hear a song you like? 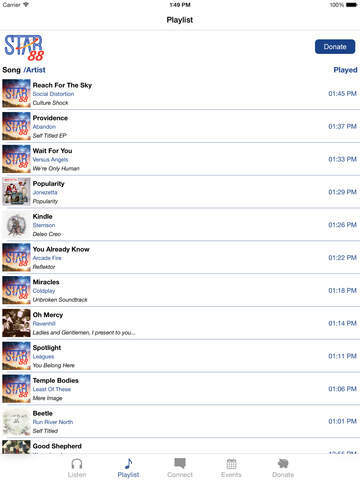 Check out the playlist to find out the name of the song and artist. 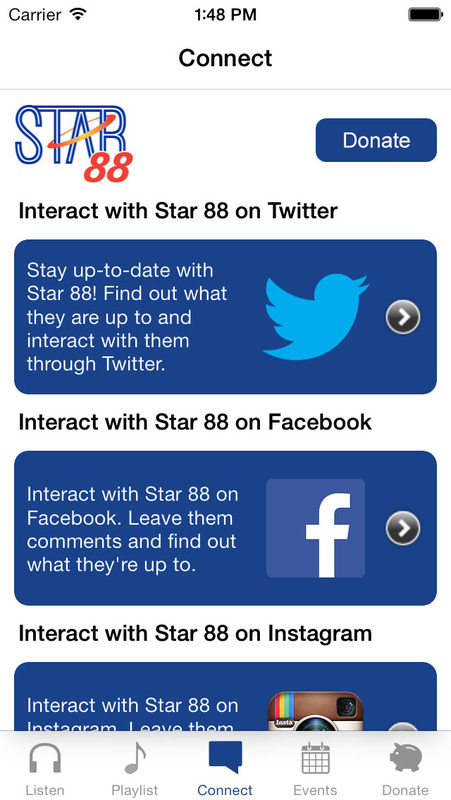 Keep up with the chatter when you visit our Facebook wall, Instagram, and Twitter feed right from the app!